“To their advocates, they’re kids. To the system, they’re criminals. 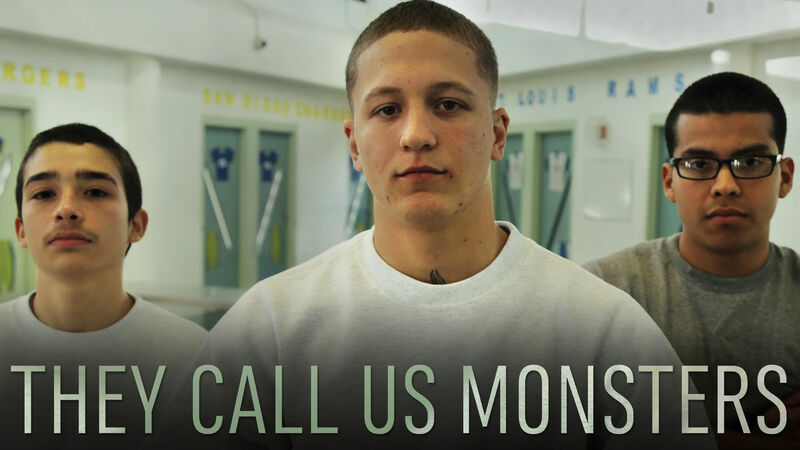 To their victims, they’re monsters.” So declares the provocative introduction to a documentary offering a highly original look at the current debate over juvenile incarceration. For more than a generation, many states have treated violent juvenile offenders as adults, in some cases handing down sentences that effectively end their lives, or multiply the likelihood of recidivism. Now a national movement is urging legislatures to re-examine this policy, part of a broader re-assessment of criminal justice and mass incarceration. Revealing the human face behind the juvenile justice debate, this film goes behind the scenes at The Compound, a high-security detention facility in California, where three young men—Jarad, Juan, and Antonio—await trial in cases that carry sentences of up to 200 years. But first they become “screenwriters” to try documenting their own disturbing life stories for this film. The results invite viewers to re-examine the concept of life without parole for juvenile offenders. The discussion that follows proposes mentoring as both a preventive mechanism and an alternative. Ben Lear’s directing credits include the documentary The Ordinary World (2017), and the short subject Bad for the Boats. He is also an actor and composer. A graduate of NYU, Lear works at mentoring juveniles re-entering society after incarceration. Mitchell J. Auslander is a partner at Willkie Farr & Gallagher LLP who has been recognized by “Best Lawyers in America” for his work in commercial litigation and insurance. He has long been active in the New York State Mentoring Program and is a member of its Advisory Council. This event is fully subscribed. If you wish to be placed on the waiting list, please email rhrsvp@hunter.cuny.edu and indicate which event you wish to attend, and if you are a current Hunter College student. Everybody is welcome to join us for a glass of wine at 6pm.